A family adopts a runt of a dachshund from a shelter. 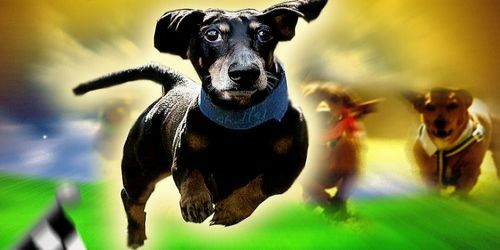 Only time will tell if little Shelly and her new family are up for the challenges of entering the nation's greatest wiener dog race, Wienerschnitzel's Wiener Dog Nationals. One Nation, one race, one wiener.